Andre De Grasse swept the men's 100 and 200 metre races at the Harry Jerome International Track Classic on Friday. The 21-year-old from Markham, Ont., finished the 100m with a time of 10.32 seconds into a head wind. Joe Morris of the United States was second in 10.41, while Kemar Hyman of the Cayman Islands was third in 10.48. De Grasse then won the 200m about an hour later in 20.46, with Morris (20.61) in second and fellow American Arthur Delaney (21.06) in third. Meanwhile, Melissa Bishop of Eganville, Ont., won the women's 800m in a meet-record one minute 58.79 seconds. 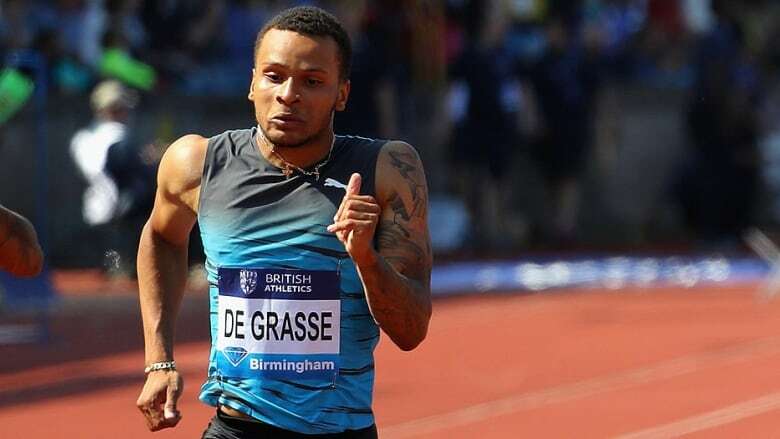 De Grasse was coming off back-to-back Diamond League victories, winning gold in the 200 metres in Birmingham, England, on June 5 and the 100 metres just four days later in Oslo, Norway. The Canadian sprint star is getting ready for the Olympic trials next month in Edmonton ahead of the Games in Rio, which begin Aug. 5.